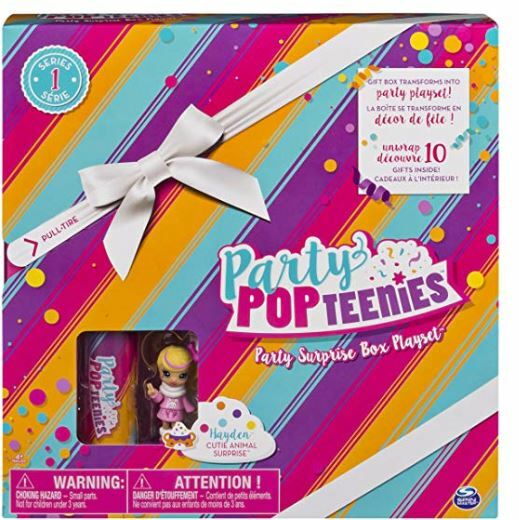 Get this Party Popteenies – Cutie Animal Party Surprise Box Playset with Confetti on sale for as low as $3.12 when you purchase it as an add-on item (Retail $14.99). Delivering the ultimate unboxing experience, this playset has so many layers of surprises to discover! Pop the Mini Popper, unbox the mini gifts and create a cute space where Hayden (exclusive doll included) can get glam before the big bash! Check out more Collectible Doll Toys HERE.